Over 2,000 engineers, scientists, managers and fans of all things aeronautical spent a late June week in Dallas for the AIAA Aviation and Aeronautics Forum and Exposition. 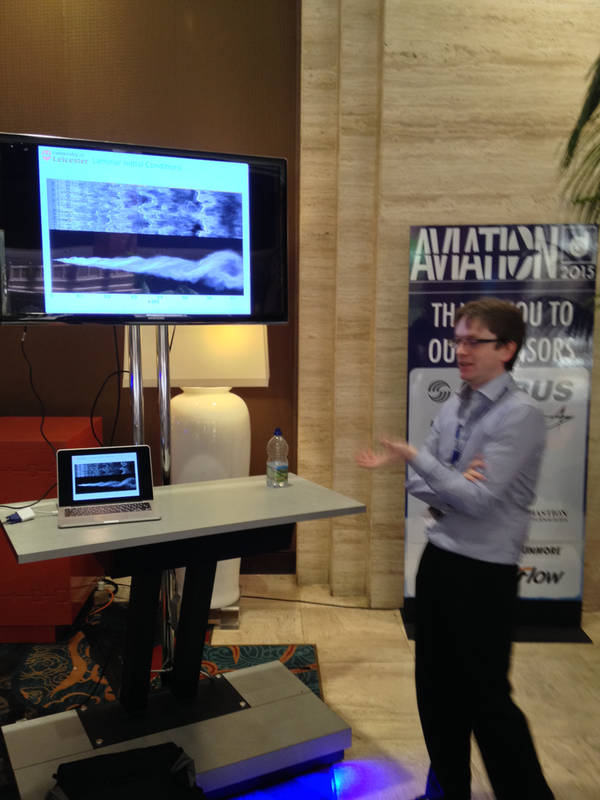 This event featured 16 individual conferences including Aeroacoustics, Applied Aerodynamics, CFD, and Fluid Dynamics. Because Aviation was held just down the road from our Fort Worth office, in neighboring Dallas, Pointwise took the opportunity to send virtually all of our technical staff to experience the event firsthand, whether that meant mingling with customers and partners in the exhibit hall or engaging in a bit of professional development by attending technical sessions. Three papers were authored or co-authored by current or former Pointwise staff and five of us are also involved with technical committees. All this activity made for a very full week. 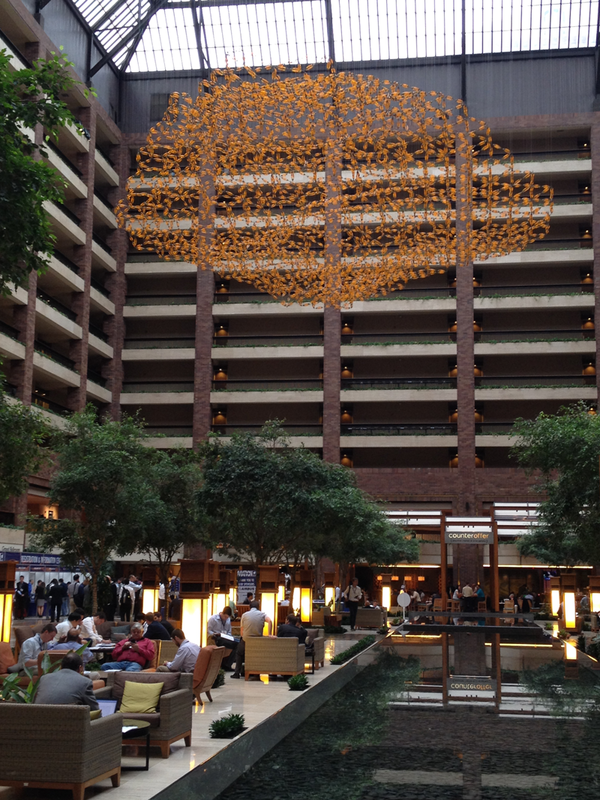 Figure 1: A dynamic mesh (seen in orange) was floating above the registration area for AIAA Aviation in the Hilton Anatole. One of the CFD (computational fluid dynamics) topics I heard most about was high order methods and meshes. Tools and techniques for elevating the polynomial degree of linear meshes was exemplified by meshCurve (Reference 1), software from the University of Kansas that is said to be planned for a free release soon. Pointwise's work to date on high order meshing has been done via the Glyph scripting language and was presented at Turbo Expo 2014 for an application involving structural mechanics (Reference 2). We are now in the process of transitioning that technology from script to Pointwise itself. Anisotropic mesh generation was also a topic of considerable interest at Aviation, not only in the context of a priori generation but also from the standpoint of adaption. As someone pointed out, anisotropic adapted meshes would fail any a priori mesh metric calculation but still provide the basis for accurate CFD results. Pointwise's Dr. John Steinbrenner presented nearly a decade's worth of work on the T-Rex meshing technique in a 30 minute talk (Reference 3). At its core, T-Rex (anisotropic tetrahedral extrusion) is an advancing layer mesher that creates only tetrahedra. In order to reduce cell count and provide cells that are more amenable to accurate computation of the boundary layer regions, strategies have evolved over the years for post-processing the near-wall anisotropic tetrahedra into layers of prism and hexes. Highlights of the cell agglomeration strategies are listed below in the chronological order of their implementation. Combination of three anisotropic tetrahedra into prisms, resulting in near-wall prism layers with uniform (cell count) height. Total cell count reduction = 9.5 percent relative to the original, anisotropic tetrahedra mesh. Vertex-based mixed-cell approach that removed the requirement to limit prism layers to uniform height. Total cell count reduction = 48 percent. Cell-based mixed-cell approach that was faster and allowed more cells to be combined. Total cell count reduction = 56 percent. Extension to account for quad-dominant surface meshes and hex layers, version 1. Total cell count reduction = 61 percent. Quad-dominant surface meshes and hex layers, version 2. Total cell count reduction = 64 percent. The details of Dr. Steinbrenner's paper delve into the complications introduced into cell agglomeration by symmetry plane matching, baffle meshes that may extend into the cell combination layer, and the insertion of multiple extrusion trajectories from sharp, convex corners. 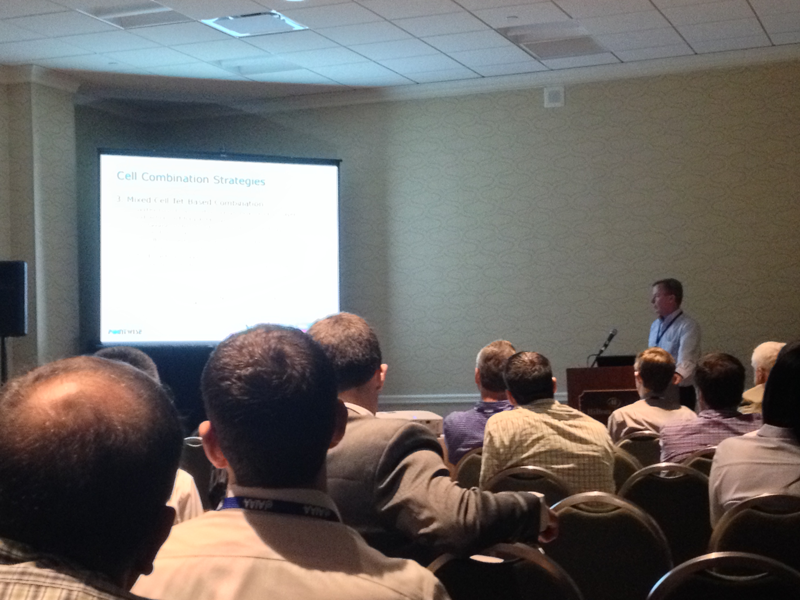 Figure 2: Dr. John Steinbrenner presented the evolution of tetrahedra-prism and tetrahedra-hex cell agglomeration strategies in Pointwise's T-Rex advancing layer technique. Taking a break from CFD and mesh generation, I attended the panel discussion on “Whatever Happened to the Four-Year Airplane?” during which panelists (Bell Helicopter, Lockheed Martin Skunk Works, Boeing, Johns Hopkins APL, and Gulfstream) delved into the issues that lengthen design cycles, perhaps unnecessarily. When there are so few aircraft programs there is a need for “bet the company” types of responses. A scarcity of aircraft programs means that designs tend to get over-analyzed. When advanced research targets the next big aircraft program, it becomes too rigid. Designers who are truly multi-disciplinary. Instilling a systems engineering mindset. As long as safety is the top priority, we should accept speed of the design cycle and the risks it brings. Corollary: Everyone claims risk tolerance until launch day. In the absence of a strong national imperative (e.g. Apollo) it is hard to move design forward other than incrementally. Innovation and the rigor of systems engineering are not incompatible. One light-hearted moment from the discussion came when one of the panelists, speaking on the use of formal processes as checks and balances against risk, said that engineers tend to turn into lawyers when they start parsing the language in written requirements. As noted above, a panelist pointed out that the sparsity of aircraft design programs means there are few opportunities to transfer wisdom from experienced engineers to their more youthful counterparts. In a relatively minor coincidence, the editor's letter in the July/August 2015 issue of Computing in Science and Engineering (Reference 4) addresses this from the computational standpoint. Dr. Douglass Post (head of the U.S. DoD HPCMP CREATE program) cites CFD simulation as an efficient and effective tool to use in a simulated design process by which mentors can transfer their expertise to younger engineers. Roe admittedly borrowed the word “truthiness” from TV's Stephen Colbert who applies it to politicians. In the context of CFD, Roe defines truthiness as “true enough to win an argument” but otherwise “not true enough.” Extending his wordplay a bit further, Roe introduced the term “physicisity” which is the quality or appearance of being based on physical principles. Congratulations to everyone who participated in this inaugural event and let's hope this showcase becomes an annual event. Figure 3: Dr. Andrew McMullen describes his award winning visualization of laminar mixing layers. I was heartened to hear no fewer than three NASA officials cite CFD or the CFD Vision 2030 Study (Reference 6). Administrator Charles Bolden mentioned CFD during his keynote address on NASA and the Future of Aerospace. Associate Administrator Jaiwan Shin mentioned the CFD Vision 2030 Study during his presentation kicking off the panel on NACA to NASA: Embarking on the Next 100 Years of Excellence and Innovation in Aeronautics and Astronautics. Dr. Shin cited it as an example of NASA's leadership in an important field. Acting Center Director David Bowles from NASA Langley cited the Vision 2030 Study as an example of NASA's “digital transformation” and their leadership in the development of the next generation of aerospace design tools. What is the take-away from this? The Vision 2030 Study is more than a paper tiger. It is a significant and actionable vision and a guide for moving forward. Prior to leaving Pointwise to pursue a physicist's dream job, Dr. John Rhoads co-authored a paper with researchers from NASA Langley on aeroacoustic simulations using FUN3D (Reference 7). This paper was a result of Pointwise's collaboration with participants in AIAA's series of BANC (Benchmark Problems for Airframe Noise Computations) workshops (Reference 8). 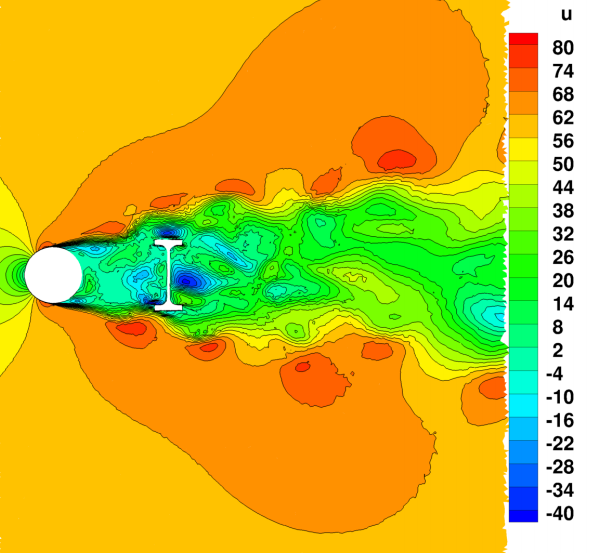 Figure 4: Contours of streamwise velocity on a horizontal cut through the landing gear's torque arm. From Reference 7. In the wake of the publication of the CFD Vision 2030 Study, the MVCE technical committee (of which I am a member) took ownership of all meshing and geometry related problems cited by the study. At AIAA SciTech 2015, MVCE hosted a panel discussion on these geometry and grid issues. MVCE continued its focus on the 2030 Vision with a session on Visualization for CFD 2030. In addition to a panel discussion on visualization the session featured an invited paper on geometry issues and a summary paper about SciTech 2015's grid generation panel. 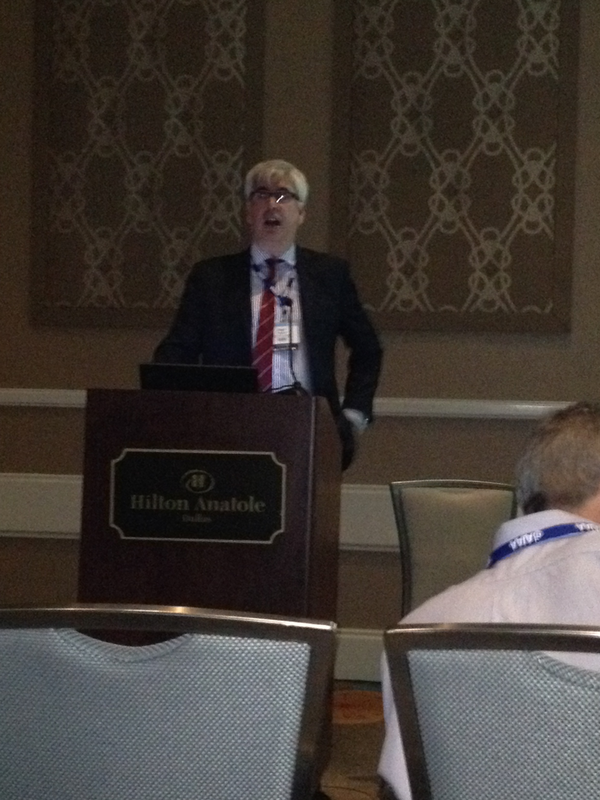 Figure 5: Dr. Nigel Taylor gave an invited presentation on geometry issues for aerodynamics. As Taylor put it, “there's a lot of geometry about.” And a lot of it has to be meshed, where preparation of the geometry, or more specifically the outer mold line (OML), requires a substantial human effort. Why must this be so? OMLs by definition are idealized: smooth, watertight, simplified. Because creation of the MCAD (mechanical CAD) model is driven by assembly and manufacturing needs, creating an OML from MCAD is problematic. That is why pre-CAD software is the primary source of OMLs for simulation today. The need to idealize the OML exposes a hidden truth: there are many different means of abstraction that depend on intended use. Defeaturing an MCAD model (e.g. removing seams around aircraft windows and other visually obvious features) remains a manual and judgmental process. The need to “repair” an MCAD model often is not even obvious in many cases. Besides providing a great overview and foundation for further discussions about geometry issues for CFD, Taylor's paper does present a path for moving forward. MCAD software providers and CAE software providers are working toward bridging the gap that separates them. Use of CAE earlier in the design process opens opportunities to use CAE models rather than MCAD models as the primary source of data exchange. Implicit geometry (as used in the context of Cartesian meshing) shows promise for robust handling of MCAD models. Sub-division surfaces, used widely in the computer animation market, may be able to provide great flexibility in the design of aerospace surfaces without the problems associated with NURBS (non-uniform rational B-splines). Isogeometric analysis, which allows analysis to be performed directly using the geometry definition, solves the geometry-to-mesh problem by avoiding it. Also, Taylor asks that we stop using the phrases “dirty CAD” and “sloppy CAD” because they imply intent, either malicious or ignorant. What is really manifest in MCAD models to which those labels are applied is lack of suitability for a particular purpose where that purpose is CFD. But the interesting news announced by Dannenhoffer was the beginning of planning for the first Geometry and Meshing Workshop (in the great tradition of other AIAA CFD-related workshops) to address current status of these technologies and progress toward addressing the CFD Vision 2030 goals. Certainly, more details will follow over time as planning matures. 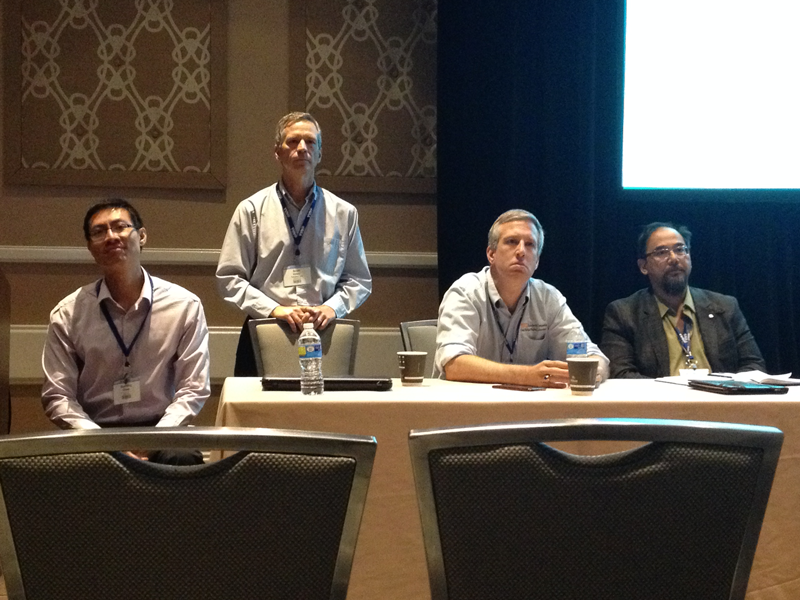 Finally, a very enlightening panel discussion on CFD visualization consumed the remainder of the morning. The panel included Tecplot's Scott Imlay, Intelligent Light's Earl Duque, CEI's Sean Ahern, and Guoning Chen from the University of Houston (Figure 6). Figure 6: Visualization 2030 panelists. From L to R: Chen, Imlay, Ahern, Duque. Imlay had the laugh of the day with his observation that the number of people announcing the death of Moore's law is doubling every 18 months. But his observation also had a salient point: we really need a Moore's law for I/O bandwidth because CPU gains are outpacing our ability to read and write data, which is a lot of what traditional post-processing is about. All of the panelists agreed that “knowledge extraction” was a better euphemism for post-processing than visualization. Merging simulation with other data sources. Furthermore, the term “post”-processing is problematic because visualization has to be fully integrated with the solutions so we can monitor progress. In fact, as we move toward 2030's goal of better use of HPC resources we are going to be forced to stop reading and writing data the way we do now. Prof. Chen's research into feature-based techniques addresses fundamental issues of information overload when engineers look at large and complex data sets. After about 1.5 hours of discussion, the cloud and mobile devices were mentioned. In general, all the panelists felt that the cloud as an on-demand resource that scales to your level of need and enables collaboration is already here to a certain degree and will likely be part of standard CFD visualization usage in 2030. The CFD Vision 2030 Study's principle author, Jeff Slotnick, attended the panel and admitted that the knowledge extraction portion of the study is sparse on the details due to the relative lack of expertise of the authors in that area. He is hoping that this panel discussion and the Visualization Subcommittee of MVCE will flesh-out the details of visualization in 2030 and help map the plan for achieving those goals. AIAA Aviation and AIAA SciTech are two of my favorite conferences, and I recommend them to all of you who have not yet had the opportunity to attend. If you would like more information on any of the Pointwise-related papers described above you can email me directly at jrc@pointwise.com. And if you would like to generate meshes for aeroacoustics, FUN3D or any other application, let's get you a demo license of Pointwise. meshCurve: An Automated Low-Order to High-Order Mesh Generator, AIAA 2015-2293, by Ims, Duan, and Wang. Higher Order Finite Element Meshes for Centrifugal Impeller Blade Analyses Using Pointwise, by Grigoriev, Carrigan, Garlisch, and Hitt, ASME GT2014-25734. Construction of Prism and Hex Layers from Anisotropic Tetrahedra, AIAA 2015-2296, Steinbrenner. Enhancing Engineering Productivity, by Post and Kendall, Computing in Science and Engineering, Jul/Aug 2015, pp 4-6. Four Decades of CFD: Looking Back and Moving Forward, http://dept.ku.edu/~cfdku/JRV.html. CFD Vision 2030 Study: A Path to Revolutionary Computational Aerosciences, by Slotnick et al, NASA/CR-2014-218178, http://ntrs.nasa.gov/search.jsp?R=20140003093. Aeroacoustic Simulations of Nose Landing Gear using FUN3D on Pointwise Unstructured Grids, by Vatsa, Khorrami, Rhoads, and Lockard, AIAA 2015-3255. Industrial Perspectives on Geometry Handling for Aerodynamics, by Taylor, AIAA 2015-3408. Meshing's Path Forward, The Connector, by Chawner, Jan/Feb 2015 issue, http://www.pointwise.com/theconnector/2015-January/Meshings-Path-Forward.html.